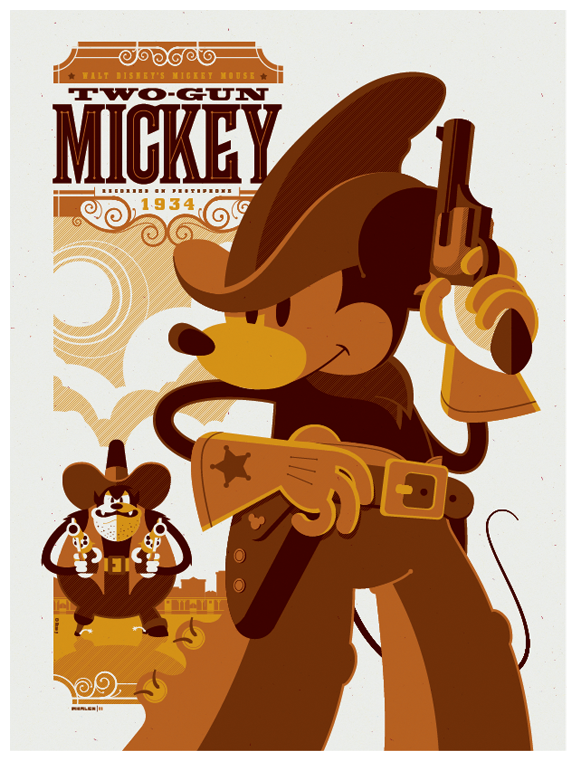 one of the last entries in the disney poster series: 1934's wild west epic, "two-gun mickey"! i've definitely got a special place in my heart for the very early disney shorts. it's a wonder to watch these iconic characters take shape before our eyes. you can check out "two-gun mickey" in all of it's black and white glory here. 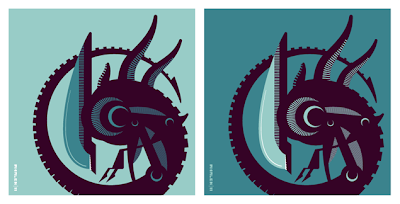 i had some open space at the edge of a sheet of posters that i had screenprinted, so i decided to throw reversed colorways of this image on there. they'll be freebie pack-ins for customers of the strongstuff shop. 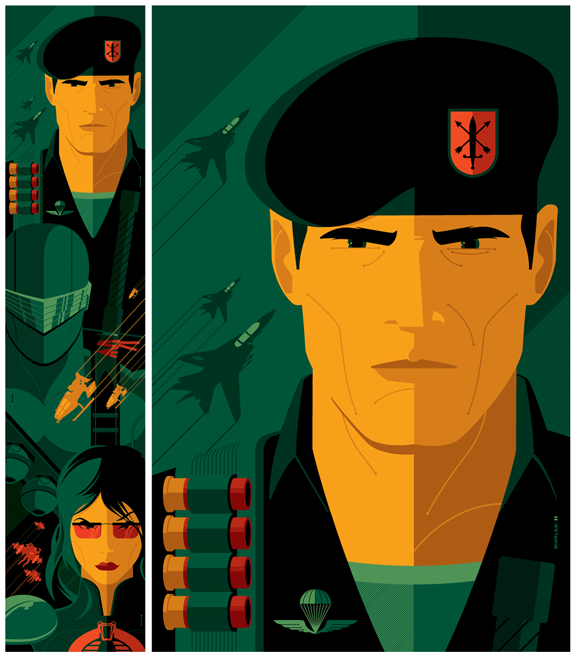 i'm so honored to have been asked to illustrate this series of interlocking retailer incentive covers for IDW's g.i. joe line of books. much like the snake eyes/helix covers that i did last year, these needed to be interlocking. i proposed the idea of vertically arranging them (instead of the standard horizontal layout) to IDW and they dug it. flint will appear on g.i. joe #10, snake eyes will be on snake eyes #10, and the baroness will grace cobra #10. all issues will be out in february, 2012.
as i've stated many times before, gi joe owned my childhood. having the opportunity to work on the comics that inspired my career is truly a dream come true.